No matter what industry your business serves, you, more than anyone else, know how you want people to use your website. Maybe you sell products, and your site primarily functions as an online store. Perhaps you are a consultant, and your site is the main way people find out how to get in touch with you. Ensuring that people take your desired action, or convert, should be the driving force behind what your website looks like, how it operates, and how you promote it. 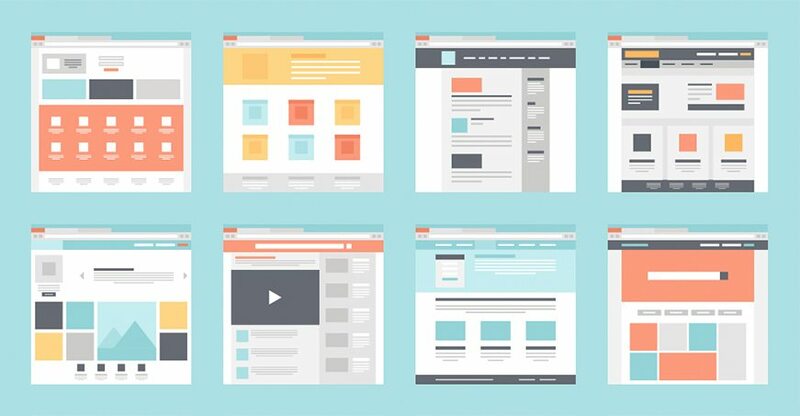 Whether it’s claiming an offer or sending you an email, these important interactions potential customers take on your website are what drive your business. You NEED people to take that one step. So, why are you making it so hard for them to do it? Often times, we get so caught up in the aesthetics or capabilities of our website, that we lose track of the number one goal we set for it: to help our business grow. We make it hard for visitors to take the step we want them to take. So what can we do? How can we encourage conversions? Ensure your call-to-action is the first thing on your page that catches a visitor’s eye. Whether it’s a button, clickable image, or a link, it should stand out on the page. Use font size, color, and style, as well as positioning. People’s eyes will naturally be drawn to something different, larger, or separated from the rest of your page. Limit the choices people have to make. A cluttered site with several buttons, links, and images all competing against each other for attention only dilutes your message. Less can definitely be more. Rethink the copy on your page. But don’t just write copy you think works. Write the copy you think your clients are looking for. This will serve two purposes. First, by inserting important keywords in your copy, you are making it easier for search engines to identify what your site is about. Second, when search engines know what your site is (i.e., what you are selling or providing), it will help potential customers to find you online. And when they find you online and can easily identify the who, what, where, why, and how of your business, that bodes well for a conversion. Simplify your navigation. Similar to limiting choices on the page, make your website easy to navigate. Grouping your pages together in a logical order, and linking internally where appropriate, will not only limit clutter, but also will make it easier for search engines to index your site – thus helping people get to your desired landing page in the first place. Having a website that is mobile-optimized is vital to your success. A site that does not function on or translate to a smartphone is not only a huge turn-off for potential customers, but also it’s a turn-off to Google – meaning no one will find you. Be sure your call to action is above the fold. Not sure what “above the fold” means? It’s likely not this section. If you’re reading this point right now, chances are you’ve had to scroll to get here (i.e., go below the fold on the page). On your home page, that is often not something people will do. Ensure your call-to-action and relevant information are above this point on the page. Test, test, and test again. Change up colors, messaging, positioning, and timing. Use heat maps on your website. Set up Google Analytics on it, and use the information provided to create actionable metrics for optimization. A/B test with different tweaks to copy, layout, imagery, colors, etc. The more you learn about how people are using your site, the easier it will be for you to increase conversions. While there is no clear-cut path to garnering a 100% conversion rate, focusing on what can be done to maximize your chances is essential to website success.